There are a billion different ways to kill time on the internet. With so many varied social media outlets literally right at our fingertips, there’s always something new and interesting to find on the web. Tumblr is one of the hottest blogging sites right now, and the tumblelogs found there come in every shape and style to suit everyone’s interests. Here are some of the hottest Tumblr accounts to follow and enjoy! This beautiful Tumblr is full of inspirational photos and quotes to put a spring back in your step and brighten your day. It’s also a place where people can talk to someone if needed. The owner is a suicide survivor and an advocate for those who feel like they have no one to turn to and need someone safe and encouraging to talk to give them a little inspiration. Just reading some of the responses to people’s questions and thoughts is an inspiration in itself! If you’re really into fashion, there’s no way you haven’t heard of Eva Chen. She’s the Beauty Director of Teen Vogue and has a style that is to die for. Her Tumblr features some of her own personal photos to document her rad style as well as photos from editorials and fashion shows, among others. 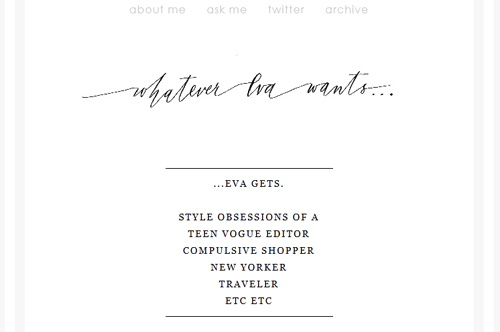 Scrolling through her blog is like watching The Devil Wears Prada -- it’s getting a glimpse into the inside of the fashion world, and believe me, Eva makes it look fabulous. 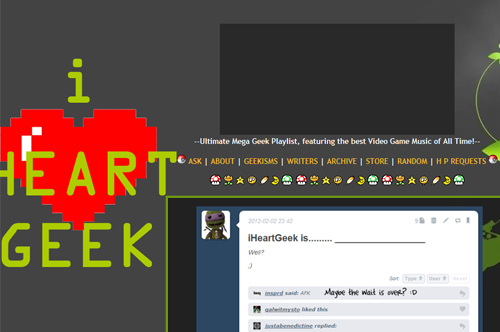 It’s geek galore on this “adorkable” Tumblr page dedicated to anything and everything geeky. From Pokemon to Star Wars and cosplay to zombies, this is the place to find pictures of geeky things, as well as pictures of people doing geeky things. There are links to geek-tastic products and humorous images perfect for reblogging -- there really can never be enough geek to go around, in my opinion. Be forewarned, because of the artistic nature of this Tumblr, some of the photos are NSFW -- but every single one of them will leave you absolutely breathless. Each one of the photos posted on this Tumblr work together so coherently to create this delicate air that permeates the mood of every photo. It’s a gorgeous blog with ethereal photography that will have you hitting the reblog button every time you scroll down. Simply one of the best on the internet, period. 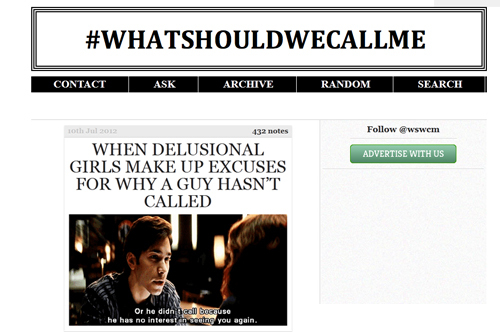 #whatshouldwecallme is a collection of hilarious .gif images accompanied by entirely relatable captions. We can’t help but laugh at every one of them ... otherwise, we might cry. The only warning that comes with this Tumblr is the fact that you are guaranteed to spend way too much time scrolling through the hilarious images. If you want to know more about #whatshouldwecallme, you should check out our “On the Web” post featuring it! Of course, no trip to Tumblr would be complete without a little bit of cuteness to have you going “awww” for the rest of the day. As the title suggests, The Daily Bunny posts a cute photo of a bunny every day. 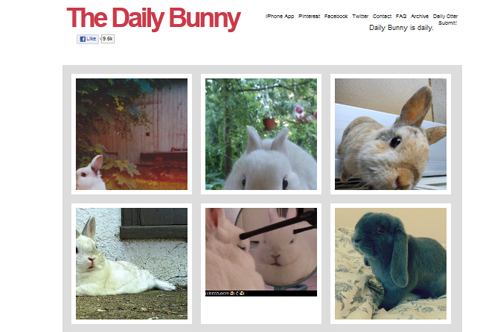 Not much more needs to be said about the preciousness that is The Daily Bunny. Go ahead, giggle away at photos of adorable bunnies. 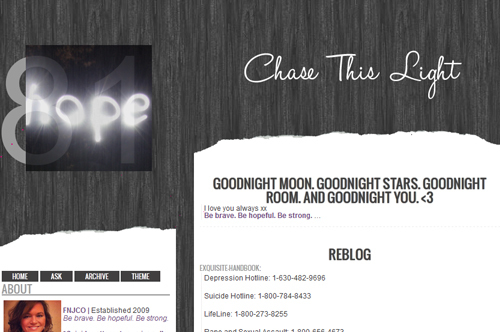 These fantastic Tumblr accounts are only a few of the tumblelogs you can follow with amazing content. Just think of Tumblr as a convergence of everything great there is to find on the internet, all in one place. If you thought Twitter and Facebook already had all of your time consumed sitting in front of your laptop or smart phone, think again. 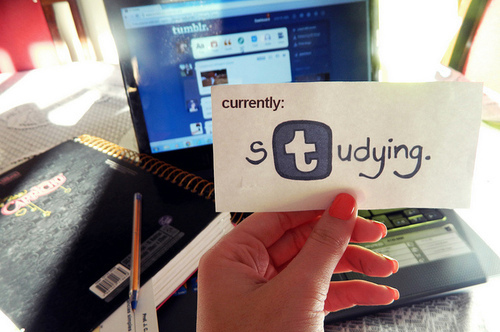 Tumblr will be sure to consume some space in your schedule.